Celebrate Valentines Day, Anniversaries and specials occasions with one our most popular gifts for couples. Cruise through picturesque waterscapes watching the sunset with a loved one, with many unique and well-known destinations available to select from. We have a diverse range of experiences to select from so jump on board today! This is the ultimate gift idea for any occasion and will ensure a night of spectacular views, dining and atmosphere on board the MV Sydney 2000 or John Cadman 2 vessels. 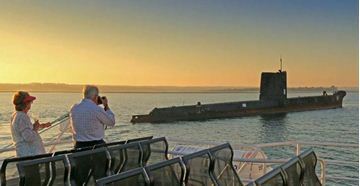 This great dinner cruise package for 2 for those looking to inject some excitement into an evening for a lucky pair of people. With magnificent views of the harbour at night, and a delicious 3 course a la carte dinner for two this is the ultimate night our on Sydney Harbour. See the impressive Perth “City of Lights” skyline after sunset with an evening on the water as you enjoy a delicious buffet dinner. Sit back, relax and enjoy the evening atmosphere and live music whilst all your needs are taken care of by the attentive crew on board. Enjoy this ultimate cruise experience with a three course a la carte lunch and glorious views of Sydney Harbour from the Top Deck of a Captain Cook Cruise Ship. Looking for an extra special gift for that extra special someone? Whether it’s a birthday, anniversary or just to say thank you, this Lunch Cruise package is the ultimate gift idea for all occasions. Enjoy a 2 hour luxury cruise and a 2 course lunch or dinner with live music. Sit back and enjoy the stunning Melbourne scenery or participate in sailing the yacht. Once your cruise is complete you will enjoy a beautiful 2 course lunch by the water while listening to live music. 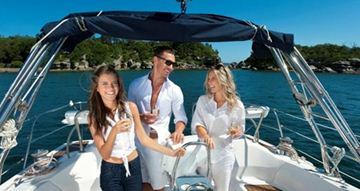 Sweep you partner off their feet by taking them on a luxury yacht on Sydney Harbour for the night. Take you and your partner on an evening never to be forgotten.When it comes to romantic evenings, this is as good as it gets... lazing on a luxury yacht and enjoying delicious cuisine as you watch the lights of the magnificent city reflecting on the waters of the Harbour. This romantic sunset cruise for 2 is a fabulous gift idea for couples celebrating a special occasion, such as an anniversary or engagement, or even as a gift for those who deserve an evening out to spend some quality time together. With house drinks and 3-course contemporary Australian dining included, and of course, the breathtaking views of magnificent Sydney Harbour for a spring/autumn sunset or winter twilight, this evening cruise package is bound to be a winner! 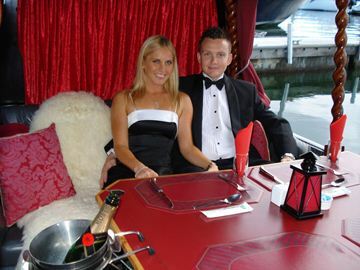 If you are looking for the ultimate romantic gift or are merely Romance and Magic or are merely wanting to sit back and enjoy the experience of a lifetime, nothing will come close to providing the luxury, ambience and setting of a Gold Coast Gondola Cruise. Inspired by the Venetial Ceremonial Gondolas, these gondolas have been specifically designed and built for Australian conditions while providing customers with total privacy and the ultimate in comfort and luxury.